View basket “Rose Nail Varnish” has been added to your basket. 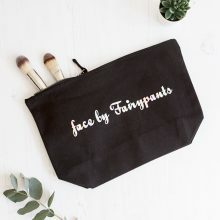 This awesome gift set contains one of our fab, large cosmetic bags and all of our gorgeous basic face cosmetic brushes! The total value of this gift set is £64.95, so you’re saving money, and it comes lovingly wrapped in tissue and hand tied with twine. 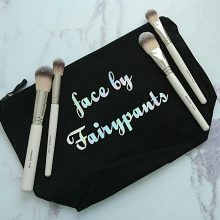 This awesome gift set contains one of our fab, large cosmetic bags and all of our gorgeous cosmetic brushes! The total value of this gift set is £92.89, so you’re saving money, and it comes lovingly wrapped in tissue and hand tied with twine. 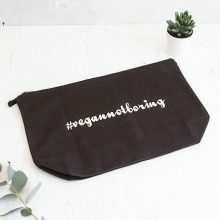 How awesome is this bag?! 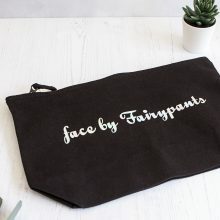 We told you we were changing your make-up bags one lippy at a time, we forgot to mention you’d be able to pack all your Fairypants goodies into one of these bad boys too! 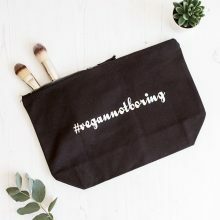 These cosmetic bags are super quality, brushed cotton. They’ve got a nice sturdy zip, and they’re fully machine washable at a maximum of 60 degrees. 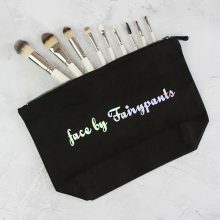 We’d also recommend washing inside out if possible – this will help protect the gorge holographic writing on the front. And if any bit of it needs washing, it’ll be the inside if you’re anything like us! Please don’t iron the holographic awesomeness – it’s too delicate, but you can iron inside out. Choose between two of our slogans, and then fill it with goodies to your heart’s content. Perfect for housing your make-up collection, or all your lotions and potions – especially if you’re off on jolly holidays (lucky you). Ace your smokey eye – with our help! Sweep pinky Ophelia across your crease, and down into the inner corner of your eye. 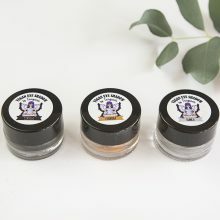 Smudge Desdemona from the inner corner, and blend out into the middle of your lid. Finally, work Cordelia from the outer corner into the middle of your lid, and blend, blend, blend! 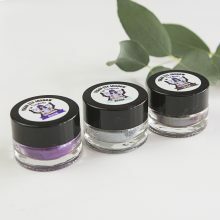 Our amazing new Eyeshadows are the latest addition to our super cool range of Vegan Cosmetics! * our lovely product testing panel! 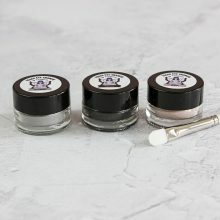 All three of our amazing glittery eyeshadows for just £10! Great as a gift, or if you can’t decide which shade to pick! 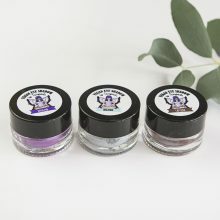 Choose any three of our silky soft loose powder eyeshadows for just £10. Great as a gift, or if you can’t decide which shade to pick! Don’t forget to let us know which shades you’d like in the order notes section. Dry Drops are what you’ve been missing all your life. Go through your usual mani routine, then finish with a couple of swipes of Dry Drops. 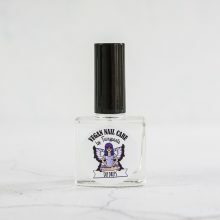 Perfect if you don’t have time to wait – even the most intricate nail art will dry in a fraction of the normal time. 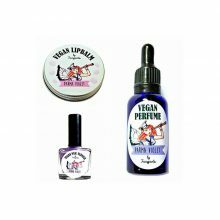 Veganise your entire nail care routine. 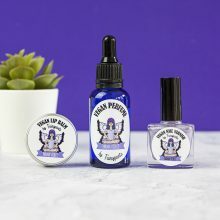 Out with the old polish using our Nail Varnish Remover, cuticle oil, then base coat – then our fab nail polish should see you right. They’re super long lasting, but top with your Dry Drops for the ultimate speed manicure. 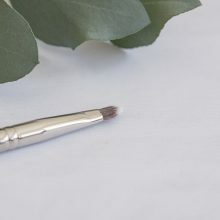 Otherwise known as a Spoolie, this simple brush is a super multi-tasker. 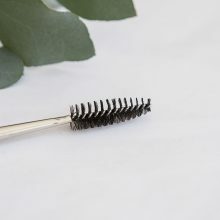 Use it on your lashes after applying mascara to clean off the excess, and avoid heavy, spiders legs. 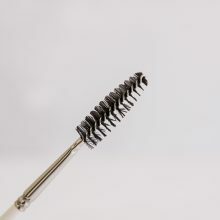 Or, use it on your brows to brush them into place before applying brow powders/creams. 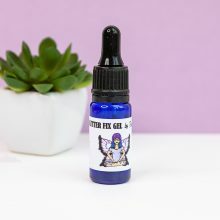 You can also use it after you’ve filled in your brows to soften up any lines or heavy patches of product. 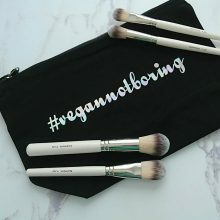 Made especially for us by a small business in the UK, all of our brushes are made from wood sourced in sustainable, managed forests. 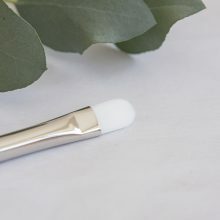 The synthetic fibres are made from Tacklon – a dreamy substance which manages to distribute your cosmetics evenly, without sucking it up – no more wasted foundation for you! 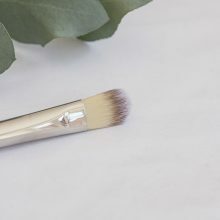 We recommend you wash your brushes at least once a week – set aside some time at the weekend and your skin will thank you for it. 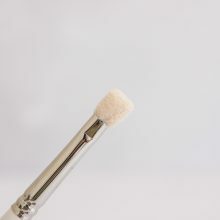 Bacteria can build up really easily on make up brushes, and a few minutes spent cleaning them can help prevent spots. Simply lather them up with a little gentle shampoo, rinse them and let them air dry. 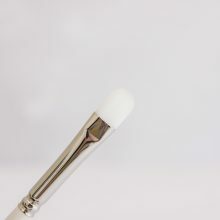 For most of us a simple Eye Applicator can make applying eye shadow much easier. 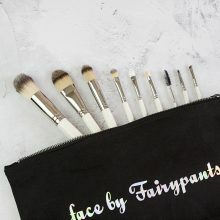 The sponge will easily pick up loose and pressed powder eye shadows, and you can quickly up your make-up game without the need for a diploma in make-up application. Most of us apply lipstick directly from the tube – or even with our fingers if we’re using a pot or a palette. 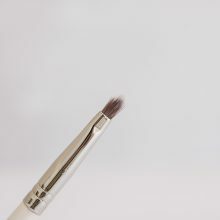 This brush will revolutionise your lippy – use it to pick up colour and carefully apply it. No more smudgey lines, no more messing up and having to wipe it off. If you like to wear bold, bright colours, you’ll need this brush. 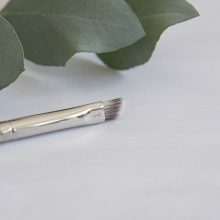 This brush will change your life. 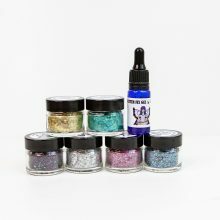 Use it with your favourite pot of gel eyeliner for perfect application every time, or get adventurous and use it with your eyeshadows. 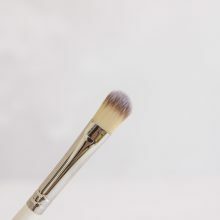 You can dampen the brush slightly, and dip it/swirl it onto your eyeshadow then get the perfect line right underneath your lashes. Match it to the eyeshadow on your lids, or mix it up to create a whole new look. If you’re into smokey eyes, then this brush is your saviour. 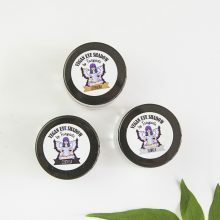 It will easily get you through the dreaded Panda Eye stage, and give you the finish you’ve always wanted. 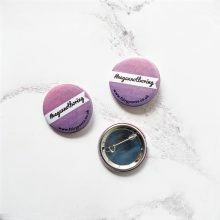 Blend, blend and blend some more- swirling motions up into the socket, or sweeping motions across the lid – however you do it, it’s bound to be perfect. 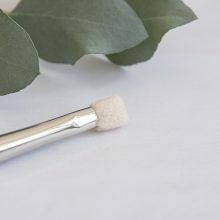 A staple in any make-up bag this brush will make applying any eyeshadow a dream. Use it slightly damp to pick up loose powders easily, and give you a deeper colour straight away. 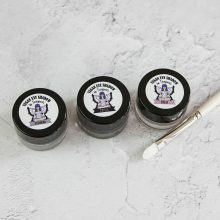 Use it dry for easier blending, and to build your colour up slowly. Use the tip to press the colour on to your eyelids, or use the flat side to gently swipe it on. 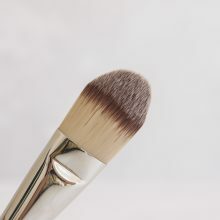 Similar in shape to our Foundation brush, this smaller version is perfect for contouring or highlighting your face. 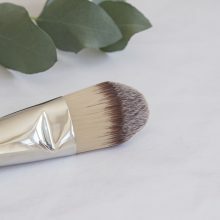 Whether you’re a pro with a contour kit, or you just swipe some highlight over your cheekbones, the shape of this brush works well with liquid, powder or cream. Use it in a stippling motion with heavier creams, or swirl and blend for powders and liquids.